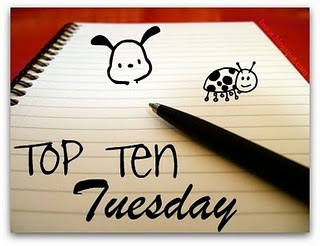 This week’s Top Ten Tuesday, brought to us by The Broke and the Bookish wants us to list ten characters from books that we would love to have in our family. I found this one a little tricky as literature is chock-full of wicked mothers and deadbeat or abusive fathers but sweet, nurturing mummies and strong, protective daddies are pretty thin on the ground or at least they are in the books I read! It’s also possible that this theme could turn out to be a bit of a land mine. Each of the characters in everyone’s lists will have their own special qualities and I can just imagine family members scouring the lists and thinking, “So what are you saying here? Aren’t I smoulderingly handsome/witty/clever/kind (delete as appropriate)?” It could cause all kinds of arguments and sulks. So I want to start by pointing out that my family is, on the whole, pretty damn wonderful. I love them all very much, from my one remaining grandparent all the way down (in terms of age) to mini-Falaise and my cousins’ kids. I wouldn’t swap any of them (well, maybe just the occasional one!) for anyone in this list. Honestly. 1. Lady Polgara from David Eddings’ novels. She’s a fantastic cook, extremely beautiful and she can do magic. She made a pretty handy aunt for Belgarion to have around but I suspect she would also be a pretty cool mother. 2. Ebeneezer Scrooge from Charles Dickens’ A Christmas Carol. Work with me on this one. He’s wealthy, child-free and has just been terrified into becoming generous and kindly. Wouldn’t that make for a useful uncle? 3. Aunt Augusta from Travels with my Aunt by John Steinbeck. She’s dotty, domineering and utterly wonderful. We all need an aunt like Augusta. 4. Mrs Weasley from the Harry Potter series. Well, why not. She is pure essence of motherliness and incredibly protective of her offspring. 5. Aunt Dahlia from P.G. Wodehouse’s Jeeves and Wooster novels. Being described as Bertie’s favourite aunt is faint praise, given his aversion to Aunt Agatha and his other aunts but Dahlia is a generally good egg and wouldn’t disgrace any nephew’s auntly slate provided it is remembered that Aunts aren’t Gentlemen. 6. The Famous Five from Enid Blyton. When I was small, I would have loved these four (the fifth, Timmy, was a dog) to have been in my family. They had exciting adventures and there was always ginger beer at tea time. 7. Jean Valjean from Les Misérables. I believe that Jean Valjean is one of the greatest heroes in literature. His tale is one of redemption and growth, of his struggle to become the man he wants to be. I admire him immensely and he gets his place in this list for his love and care for his “grand-daughter”, Cosette. 8. Willy Wonka from Charlie and the Chocolate Factory. Firstly, you can never have too many eccentric aunts and uncles. Secondly, free trips on his chocolate river! 9. The Hon. Galahad Threepwood from P.G. Wodehouse’s Blandings novels. There has to be a black sheep in every family and they don’t come more resourceful and entertaining than Gally. Given his age, he would have to be the great-uncle no-one talks about. 10. Thursday Next from Jasper Fforde’s Bookworld series. If you have to have a sister, then it may as well be an ace Jurisfiction agent with a pet dodo and a multi-coloured sports car. Fun list!! I think you are right about Scrooge, by the end of the book he is turning out to be the worlds best uncle! I haven't read many Graham Greene novels, but Travels With my Aunt is in my TBR pile, I think now that you've listed her I'd like to get to know Aunt Agatha so I'll have to get to it soon! Scrooge - LOL! I would add to the list the three Finchs from TO Kill a Mockingbird. Great list! Love Mrs. Weasley. I considered adding Ehlana from David Edding's Elenium to the list as a cool sister. I am doing a list of annoying females in fiction, pop by if you want to join. Imaginative list--especially Mr. Scrooge, post-Xmas that is! Mrs. W. is a good mum--as a mother, I dearly wish I could send Howlers myself! She knits better than I do, though. To add to your list, Henry Tilney is a perfect brother and Jane Bennet is a perfect sister. I wouldn't mind the Gardiners as my aunt and uncle either...anyone fancy a trip to the Peaks? Scrooge is a great choice. He definitely comes around! I like your disclaimer. It's hard to think about switching out family members when you're quite fond of the ones you have. I'm a stepmother, and yikes, there aren't a lot of good ones of those in literature, movies, anywhere! I'm a new follower.